WHETTMAN CHELMETS - "Alas... 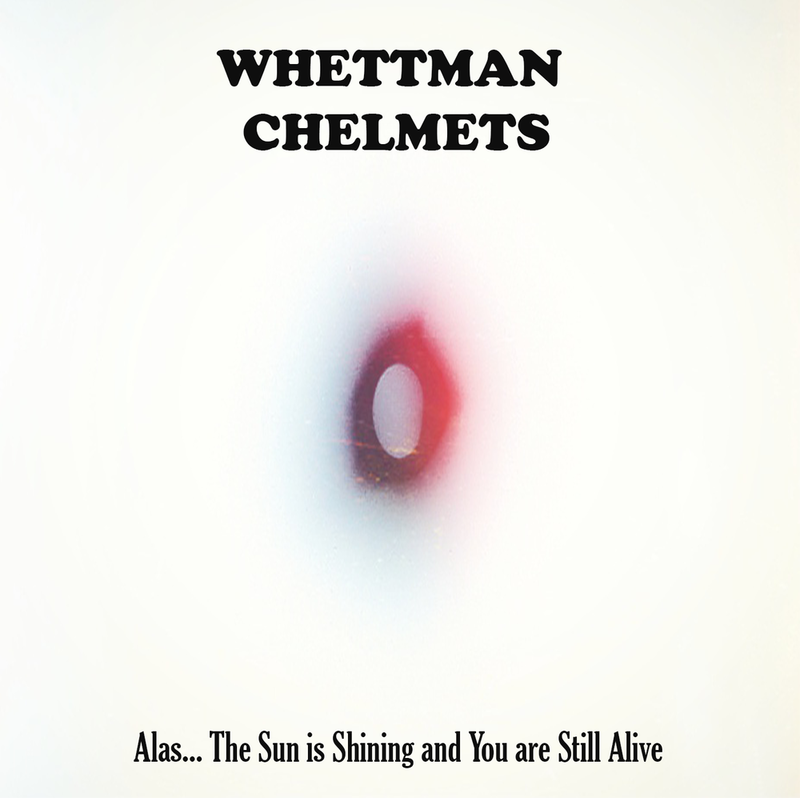 The Sun is Shining and You are Still Alive"
The eclectic and electrifying Whettman Chelmets worms his way back into your auditory canal by dropping a shortish EP with a longish title and shoe-gazerish feel. Alas… The Sun is Shining and You are Still Alive canters out of the gate with the The Sun is Shining -a merry little dream-pop ditty with a toe-tapping bass and drum section driving the melodic interplay between sparkling guitars and arpeggiating synthesizers. The interlacing layers of guitar and synth take a pensive and darker tone on the second track Alas -an organic ebb and flow of sound and emotion with the dynamics dictated by a throbbing low end. Not to leave any part of the album title unused as a track name, the EP ends with You are Still Alive -an ambient dronescape where reverb and delay-saturated guitars clash notes with a celestial drone that rises to a cacophonous yet transcendent crescendo before echoing off into infinity. Whettman Chelmets never disappoints and his latest release upholds his reputation as a fun but serious composer who can pack a wallop in 20 minutes or less. Check out the link below to add this gem to your collection. Newer PostTHE TUESDAY NIGHT MACHINES - "Hawaiian Yurt Music"
Older PostPEPPER MILL RONDO - "E.D.M."